Streaming set-top boxes are popular among cord-cutters and millions of people use them to access movies, TV-shows, and livestreams. While these devices can be used for legitimate purposes, quite a few ship with questionable apps that can be used to access "pirate" content. When these are promoted by mainstream media outlets, the movie industry starts asking questions. In recent years it has become much easier to stream movies and TV-shows over the Internet. Legal services such as Netflix and HBO are flourishing, but millions of people are streaming from unauthorized sources as well, often paired with perfectly legal streaming platforms and devices. Hollywood insiders have dubbed this trend “Piracy 3.0” and are actively working with stakeholders to address the threat. Just a few weeks ago, the MPAA called on the FTC to bring actions for unfair and deceptive trade practices against services that market pirate streaming devices. In addition, several lawsuits have been filed against box sellers including Dragon Box and SetTV. The same is true for websites that offered the pirate app “Showbox,” many of which have since ceased operating. Still, one doesn’t have to look hard to find dubious boxes elsewhere. The problem is that many of these devices are perfectly legitimate, but when they’re preloaded with ‘pirate’ apps they can become a problem. This was brought to our attention again recently when we saw several articles appearing on websites of stations owned by the Americal media broadcaster Tegna. 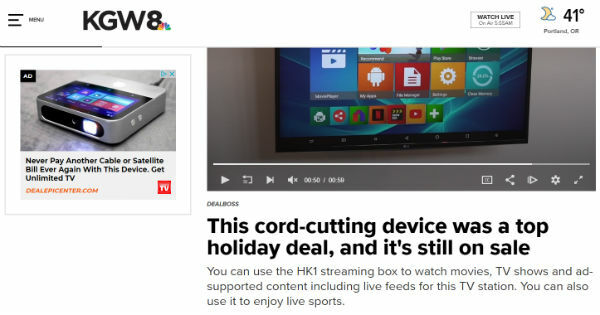 The articles in question, posted by NBC affiliate stations such as KGW8, 9News, KSDK WKYC and others, promote a streaming box as an ideal “cord cutting” device. The HK1 streaming box “unlocks hundreds of free movies,” they note. The review is written by freelance consumer reporter Matt Granite, also known as the Deal Boss, and is posted with a video of the “award-winning” box in action. What caught our eye is that this box appears to ship with “Showbox,” a known pirate application that allows users to stream free movies. Another app that’s included is “Mobdro,” which offers access to live streaming channels, often without permission. The apps are clearly visible in the short review video embedded with the articles. This video also appeared on the TV stations themselves. A full review of the box, hosted on YouTube, was removed while we were writing this article. 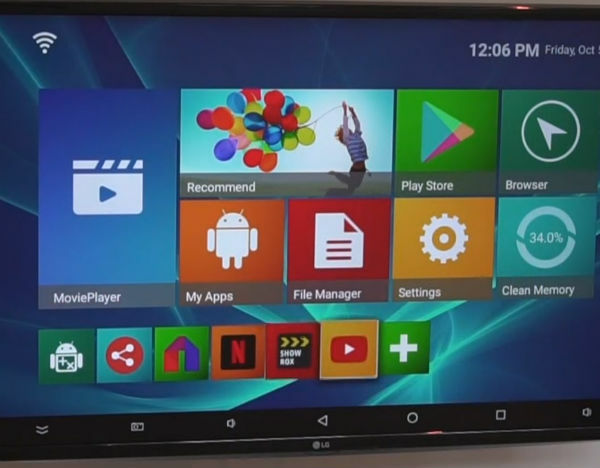 In this video, the Deal Boss showcased the Showbox app but no movies were played. Mobdro was also reviewed, although it wasn’t entirely clear whether all live streams were authorized. The problem is that these boxes can be used for both legal and illegal purposes. However, promoting a device that ships with known pirate apps may not be a good idea, especially not for a mainstream media outlet. “In this video and the article, the gentleman appears to promote the HK1 box for infringing purpose by repeatedly emphasizing that it can be used to watch free movies. The video clearly shows the HK1 box display with icons of well-known piracy applications such as Showbox,” Culpepper says. The Tegna stations and The Deal Boss do not explicitly encourage anyone to pirate content. However, promoting a device with pirate apps, and profiting from it, might not be a good idea. Culpepper tells us that one of his clients, the company behind the movie Hitman’s Bodyguard, has asked him to look into it. “My client Bodyguard Productions invested substantial financial resources, time and effort in the making their movie Hitman’s Bodyguard. Accordingly, we are concerned when devices are promoted for the purpose of infringing copyright protected movies. We have sent a letter to the station expressing our concerns,” Culpepper says. At the time of writing, the articles and promo videos are still up on all the Tegna stations we checked. As mentioned before, the full review no longer appears on YouTube, but it’s unclear why that was removed.